Daisy Meadow: Hydraluron From Indeed Labs - The Every-Skin-Type Must Have! 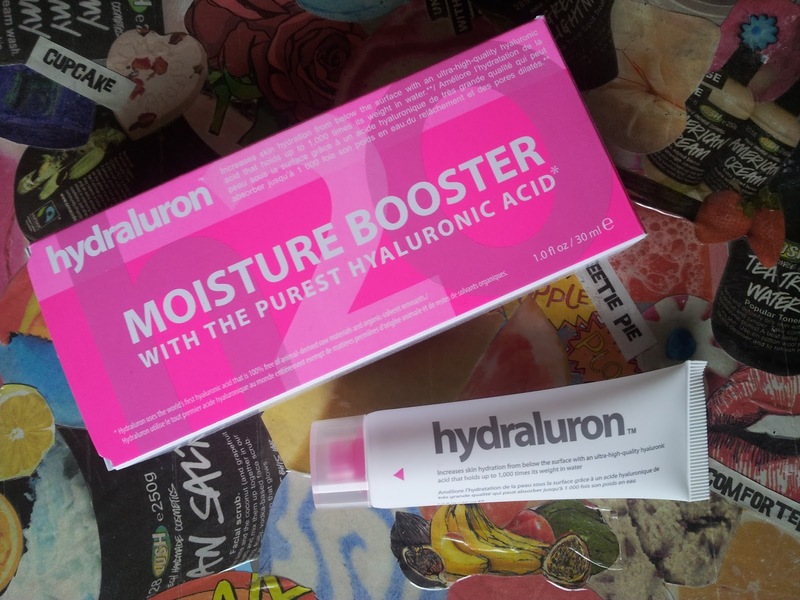 Hydraluron From Indeed Labs - The Every-Skin-Type Must Have! We've all been there, freaking out over oily skin and reaching for the harshest, most stripping products to get rid of it. Truth is, when you remove all of the skin's natural oils, it goes in to overdrive and actually produces more oil - it's a vicious circle. It wasn't until I started getting interested in skincare (and frustrated with my own skin!) that I researched and found this out, and my whole skincare routine completely changed. I am now as gentle as possible with my skin, and I have seen massive improvements as a result. One thing that I thought my skin would never ever need was hydration. Afterall, with naturally oily skin and twice daily application of moisturiser, surely that's enough? Wrong. Standard moisturisers cannot penetrate the skin deeply enough to provide sufficient hydration, and as many of us oily skin girls are very frugal with moisturiser application anyway, this leads to dehydrated skin. Dehydrated skin cannot repair itself as efficiently as when it's hydrated, leading to numerous skin problems. Hydraluron by Indeed Labs contains hyaluronic acid, which can penetrate to the deeper levels of the skin, and therefore delivers thorough hydration to your skin, where it really counts. Infact, it can hold up to 1,000x its weight in water, making it an incredible ingredient for hydrating and plumping the skin, as well as refining the overall texture. I use Hydraluron in the place of a serum at the night, so after cleanser and toner (Serozinc for me, review here), but before moisturiser. It disappears in to the skin within a couple of minutes and that's it. You don't necesserily wake up the next morning and think "Wow! ", as if you were using Alpha H's Liquid Gold. Instead, it's more of a gradual effect. Your moisturiser will glide on to your skin, it will glow and feel plump and youthful. I have noticed that breakouts calm down and heal twice as fast as before, which is amazing as the red marks left behind after spots are, in my opinion, more annoying than the actual spot! Hydraluron is also supposed to be fab for smoothing out fine lines, but I can't comment on that as I don't have any. 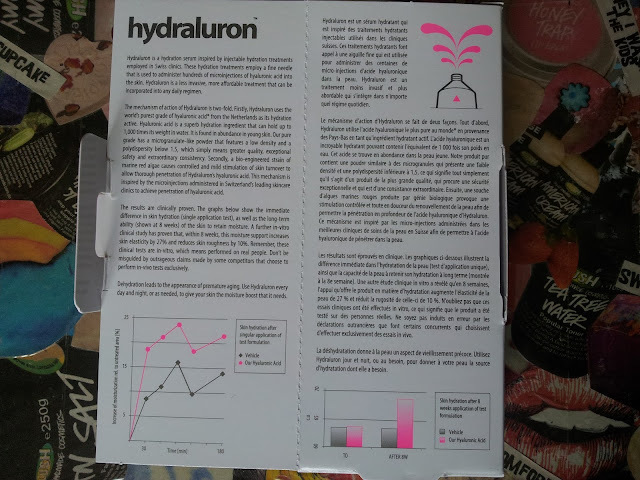 I think Hydraluron would be beneficial to everyone - hydration is so important for preventing facial ageing, and preventation is better than cure, right? I loved this review, I've wanted to know what this exactly was for such a long time theres been a huge hype about it but I know nothing about it lol! Great post! would definitely be something I would try!